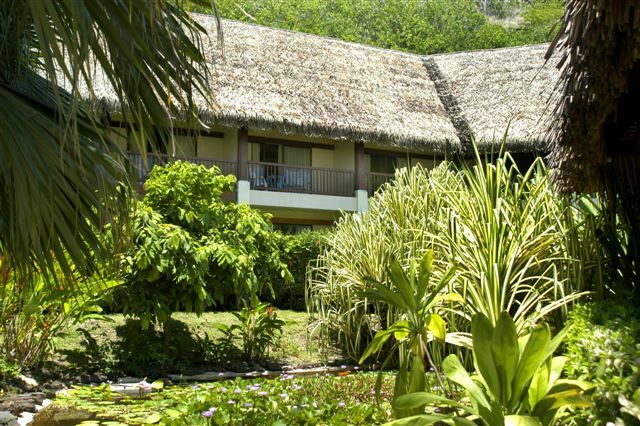 This resort is three star and a great alternative for the budget minded traveler. 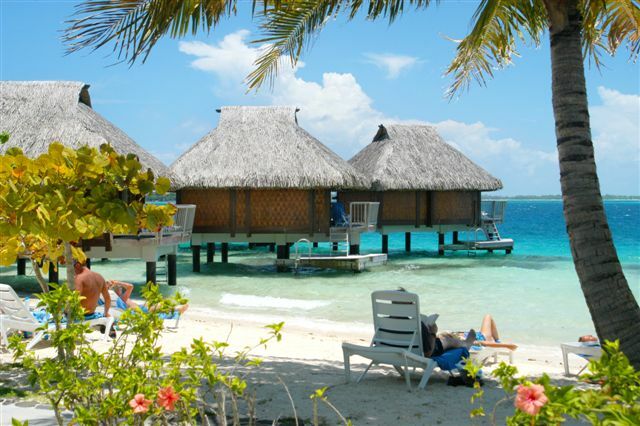 The Le Maitai Polynesia has a few shallow overwater bungalows, beach bungalows and ocean and garden A/C rooms. The Beach Bungalows are along the road so there is a bit of noise. The Oceanview rooms are up on a big hill and have a fantastic view of the lagoon! 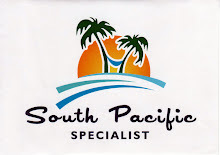 All categories offer basic amenities and are clean. They also have a restaurant and bar. It should be noted that the beach is rather small here, and if you need one, there is no swimming pool. A big plus here is the ability to walk to many small restuarants, and a market for snacks & drinks! 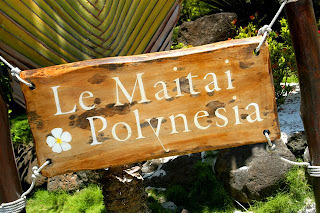 All in all the Le Maitai Polynesia is a great deal, and remember those rooms up on the hill with that view! !